Nearly a year after Tarana Burke's #MeToo movement became a viral hashtag, several men who were accused of sexual misconduct, abuse and assault are making their way back into the public eye. Among them is former Today anchor Matt Lauer, who was fired from NBC in November 2017 following an investigation into at least one sexual assault claim against him. This report comes on the heels of news that Lauer was seen having lunch with a former Today senior producer in June. He's also been spending more time in social environments according to Page Six, including the Hampton Classic Horse Show on Sunday. People reports that Lauer was also recently seen out and about with his soon-to-be officially ex-wife Annette Roque at the equestrian show, which is one of the largest outdoor horse shows in the U.S. The outlet notes that Lauer and Roque are reportedly in the midst of a $20 million divorce settlement. Roque first filed for divorce from Lauer in 2006 citing "cruel and inhumane" behavior, though she withdrew the petition after three weeks. She was again rumored to want a divorce in 2014, and following Lauer's firing from NBC in 2017, the pair stopped wearing their wedding rings. According to People, they were not speaking as of April 2018. 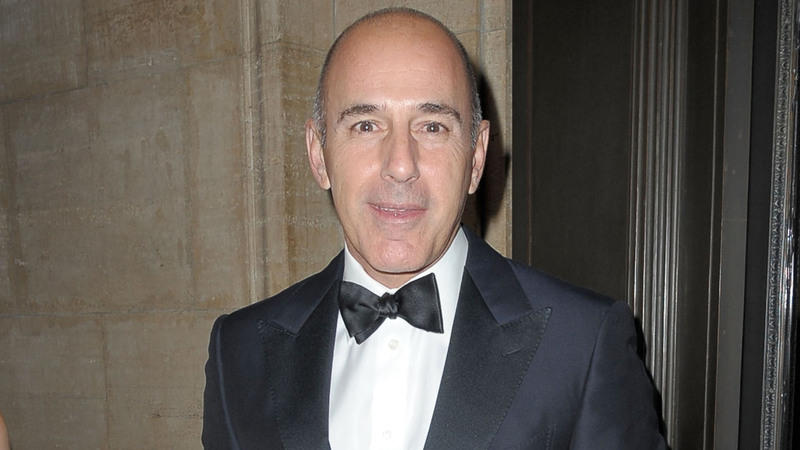 It seems Lauer may be staging a comeback on all fronts, professional and personal. He is not the only person accused of sexual assault last fall who is making his way back into the public eye. Vulture notes that similarly disgraced celebrities Louis C.K., Charlie Rose and Lorin Stein are all aiming to regain traction in their careers as well after facing allegations of sexual assault similar to Lauer's.